Phillips and Lloyd books on the square in Hayesville hosts former Georgia governor and senator, Zell Miller, Saturday, May 9th, 11:00 AM until 1:00 PM, as he signs his new book, Purt Nigh Gone. 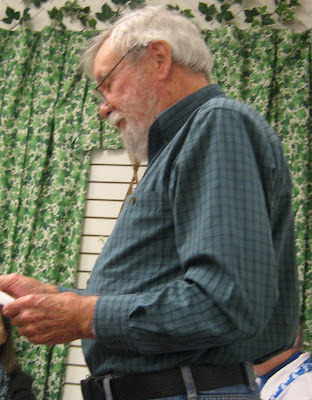 Gainesville Times newspaper says Miller’s forthcoming book, "Purt Nigh Gone: The Old Mountain Ways," is part history lesson and part mourning of the loss of a way of life that Miller dearly loves. The title is mountain speak for "pretty near gone," Miller’s assessment of the current state of things. 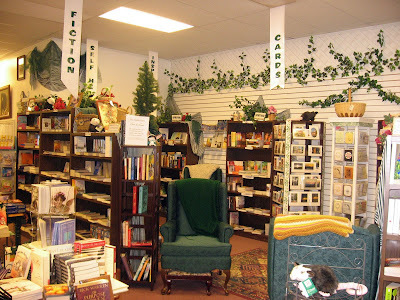 Imagine walking into a bookstore like this one. It's a gray February day, with storms threatening, and you've just driven in the rain from Cullowhee over Winding Stair Gap and down into the town of Hayesville. 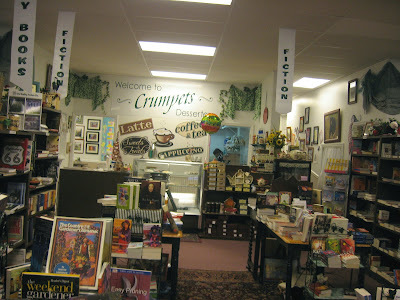 You find the town square and park in front of a place called Crumpets, also known as Phillips & Lloyd bookstore. You're early. You sit in the car waiting for the doors to open, and when they do, you enter the store where you see one of the most welcoming interiors you've beheld in quite awhile. But wait! It gets better. There's your old friend Nancy Simpson waiting to give you a hug. You are, after all, the special guest today, the poet who drove into the clouds and down again to get here for a morning of poetry. 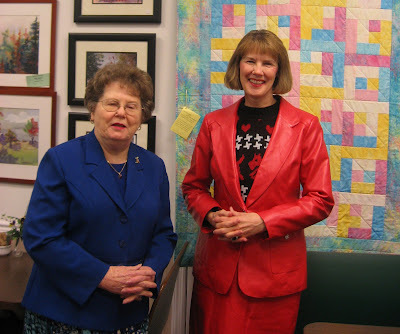 Here are Brenda Kay Ledford and Carole Thompson waiting to say hello. 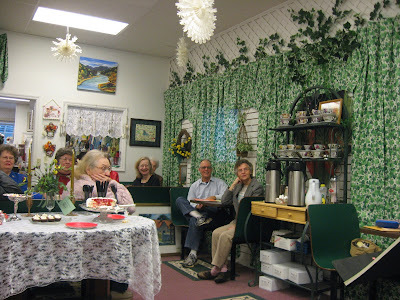 There's fresh coffee waiting, and oh my, all sorts of goodies being spread on a table in the room where ruffled curtains and quilts adorn the windows and walls. Soon other friends from Netwest arrive--Glenda Beall, Brenda Kay Ledford, and a little later, Janice Townley Moore, to name only a few. It's COFFEE WITH THE POETS morning. Wake up, wake up, the poets all around me seem to be saying, and after my reading and question/answer session, I listen to them read their own work in the open mic portion of this monthly event sponsored by Netwest. Janice Moore sits to the side listening. 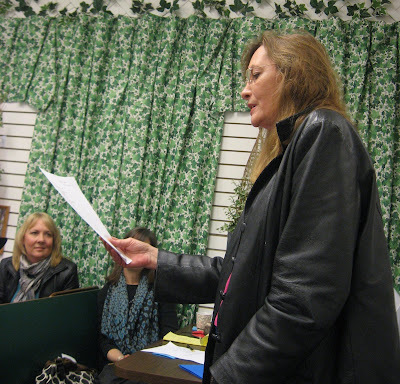 One by one the poets read their poems. 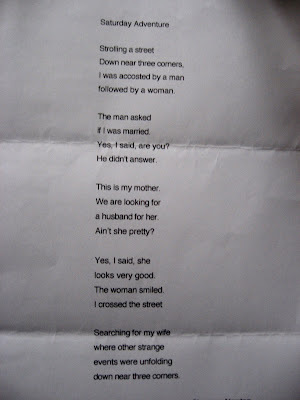 "I want these," I declare, grabbing pages out of each poet's hand, and I carry them back home with me over the mountain. When I get home I realize I can't possibly type all of these for my blog! 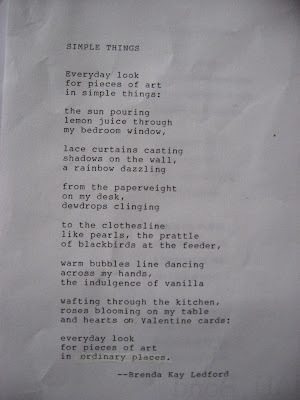 So, out comes my trusty digital camera, and I photograph each poem. Aha, the real thing, preserved by modern technology. Even the wrinkles in the paper. Brenda Kay Ledford in her red-hot leather suit leads off the list. 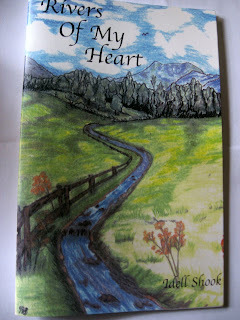 Idell Shook introduces me to her book, Rivers of My Heart. And Clarence Newton! What else to say about his "Adventure"? 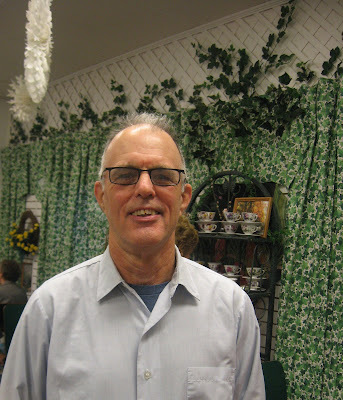 One of the highlights of my day is meeting Lynn Rutherford, whose comments on this blog have delighted me over the past months. A Georgia girl herself, she knows about muddy rivers, squishy mud, sandspurs, and mosquitoes! 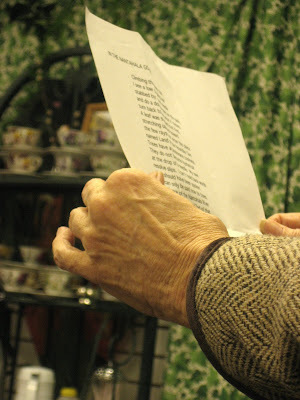 Nancy Simpson reads an old poem made new again through revision and recently accepted by The Pisgah Review. 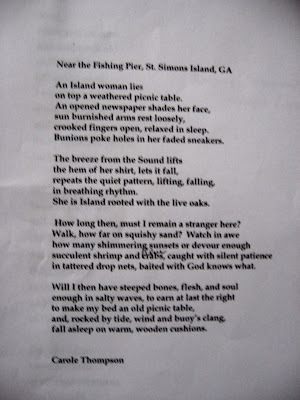 Carole Thompson's poem set in St. Simon's Island, shows her gift for vivid imagery. It made me want to head south to the Golden Isles, where my favorite beaches wait. and notices a scar on my ankle. in our body has a memory? no one can touch my heart. 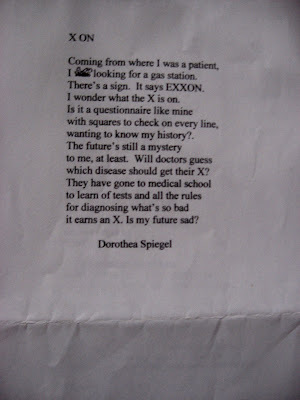 If you are looking for crafty wit, look no further than Dorothea Spiegel's "X ON." 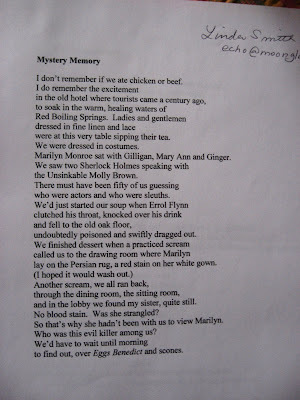 And Linda Smith's voice was well-suited to the "mystery" she unfolded in her poem "Mystery Memory." 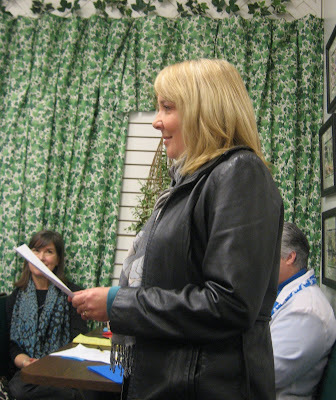 Karen Holmes read a memorable poem about the circles life makes. And after the open mic, we made our way to the delicacies arranged on the table. 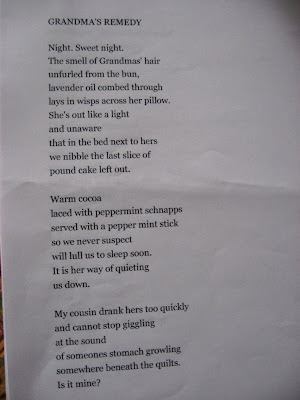 Poetry makes you hungry, after all. And COFFEE WITH THE POETS will make you hungry for more such mornings when friends and lovers of poetry gather to celebrate and enjoy the magic of each and every poem. 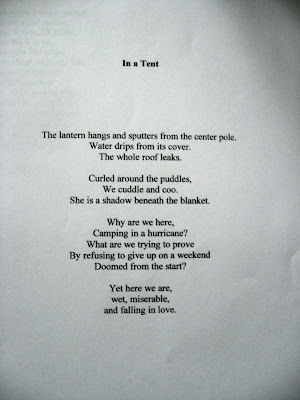 For thought-provoking poetry from a Netwest poet, click on:Breath and Shadow and read three poems by Glenda Barrett. 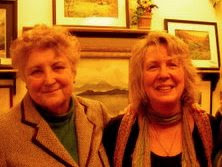 She and Brenda Kay Ledford will sign their poetry chapbooks recently published by Finishing Line Press, at Phillips and Lloyd Books on the square in Hayesville, NC Saturday, October 4 at 10:00 AM. 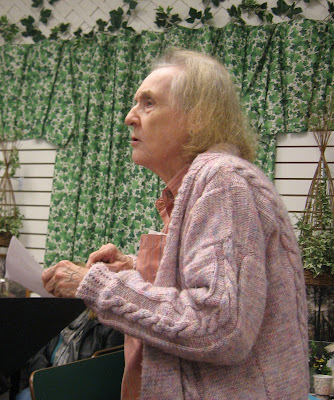 In both Ledford's Sacred Fire and Barrett's When the Sap Rises, pure Appalachian voices rise and reach out to the reader. 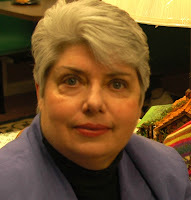 On Saturday, November 1, 10:00 AM - 12:00 pm, Brenda Kay Ledford will hold a book signing for Sacred Fire at Mountain Regional Library on Main Street in Young Harrris, GA. 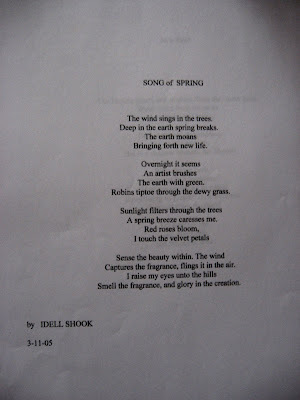 This poem is from Sacred Fire by Brenda Kay Ledford. where the loggers butchered trees. away like all of us. to grind her bones into dust. 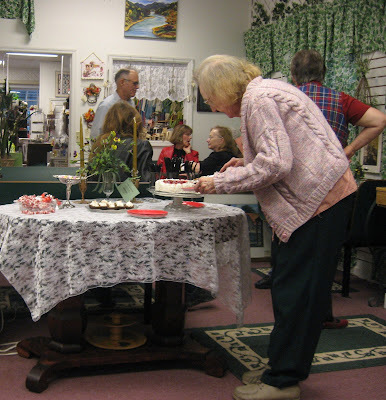 I've not felt I had the time to join a book club, but Elizabeth at Phillips and Lloyd book shop on the square in Hayesville invited me to join the one that meets there each month. 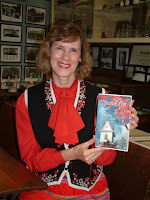 She said they are reading Vicki Lane's mystery Signs in the Blood which I already have on my book shelf. I read more non-fiction than fiction, but I've decided to try to read at least one fiction book each month and I'll start with Signs in the Blood. 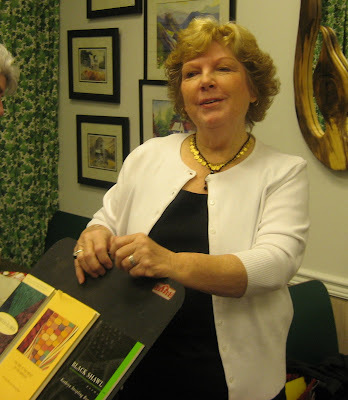 I met Vicki a few years ago and talked with her about her writing. She is from Florida but has lived in NC for thirty years. 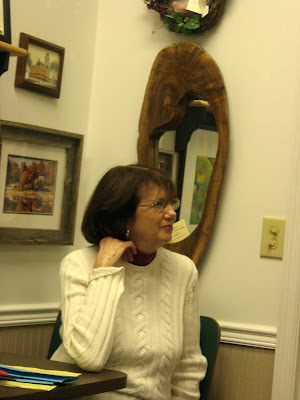 She writes mysteries that take place in the Appalachian area and she seems to be about my age because she mentions her favorite books when she was a child and many of them were mine also. She was in love with horses when she was small. I dreamed about horses and read all the Black Stallion Books by Walter Farley. 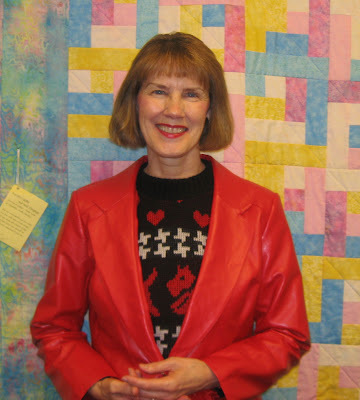 I look forward to reading Vicki's books and I've signed up for her newsletter. 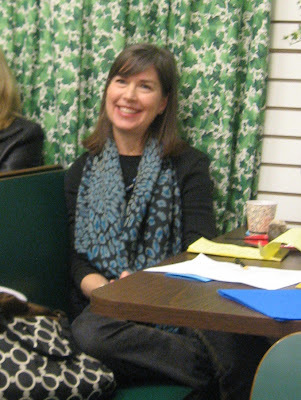 She gives a good accounting of what her life as a beginning writer is like. 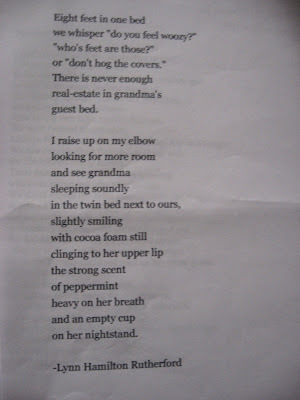 And she brings hope to all older writers who might think their time has passed. 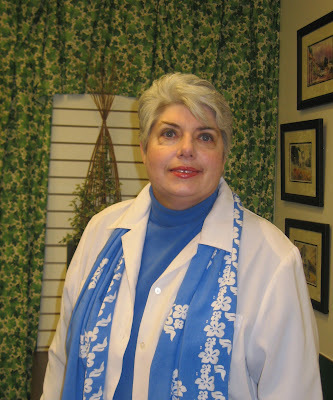 I'm proud to see Vicki has three books in her mystery series published and will now do another book that is a "stand-alone."